2010-2013: Played club lacrosse at Florida Atlantic University Women’s Lacrosse Team, Boca Raton, FL. 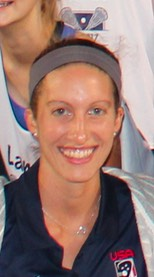 Served as Co-Captain and Treasurer for the Owls during her senior year. Played all four years at Stoneman Douglas High School in Parkland, FL. Served as Co-Captain for the Eagles her senior year.